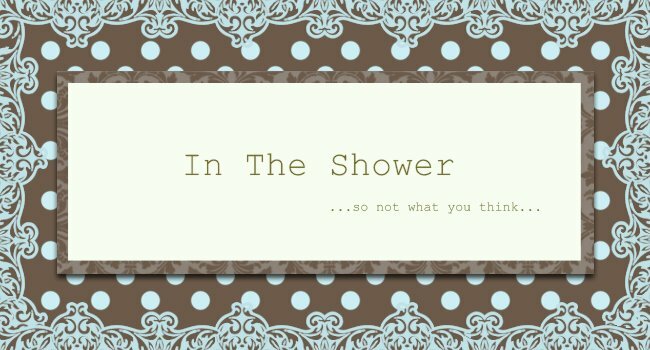 Summerr In The Shower: OMG Day Trivia! Since its OMG Day today, I thought I'd dig up some OMG trivia numbers for y'all. Had to whip out my calculator for #2. Can't believe we've had that many people on the show - suddenly the show feels like a revolving door! In total, we've had 31 acts come on the show. CJ Crew would be #32. Including CJ Crew, that's a total of 79 human performers + 1 canine performer - Dawn the dog. We've had a total of 7 guest judges on the show - Jeanette Aw, Tay Ping Hui, Hossan Leong, Suhaimi Yusof, Michelle Chia, Debbie Gibson and Mark Lee. We've had 21 Challengers on the show, some have made it, some haven't. Tonight we'll be meeting our 22nd Challenger of the show - CJ Crew. Out of the original 10 that we first saw on National Day, only 2 remain - Danny and Luminiq Crew. Out of the Top 8 Contenders at the end of Survival Rounds, only 4 remain - Danny, Luminiq Crew, Jill-Marie Thomas and the Singapore Char Siew Baos! In episode 6, 0 (none of) Challengers managed to beat the Contender they challenged. 2 = No. of times a Challenger has been Challenged on the same episode - Dan Thompson in Ep3 and Jon Max Goh in Ep4. The two Challengers that employed this strategy are still here - Jill Marie Thomas and the Singapore Char Siew Baos! 2 = No. of people who've had to 'drop out' of the show - Faiz from Luminiq Crew and Malv from Jigri Yaar. 2 = No. of saxophonists on the show - Zhai Jian and Dominic of the Baos! The piano has been used only 4 times on the show - for Eunice Olsen, Robert Tan, Jon Max Goh and recently Jill-Marie Thomas. 7½ = number of solo singers we've seen on the show - David Lin, The King, Dan Thompson, Jon Max Goh, Robert Tan, Jill-Marie Thomas, Sean Harrison and Erika Chen, I listed her as the ½ cos she was more a sand artist. 1 = No. of bands that has joined the show - Singapore Char Siew Baos! are the only band that has joined the show. We have had 6 beautiful belly dancers on the show - Roses Susan, Sophia and Jessy; Jamila, Nadia (Akiko) and Fatema. *The Wildcard entry was shrouded in secrecy and Dan was actually kept 'hidden' from the other Challengers as well before the show began. It was meant to be a 'huge' unveiling on the show itself, but strangely, the trailers for that week's episode revealed he was coming back. There was no explanation as to the sudden appearance of the Wildcard element other than a short mention by the Judges on the show itself that they felt strongly that Dan should be given a second chance at the show. But he was bettered by the group he challenged - Rhythm 'N' Moves, and had to exit the show for the second time. I am soooo hoping to see another Wildcard entry somewhere from now til November 17 - BottleFlipz and C-Murda. That would be just awesome. Ok, if no wildcard, then a huge group thing on the finale where everyone can come back and do something. Anyway, its 5 hours to go before the show ... you can bet that your OMG Contenders and Challenger are hard at work rehearsing at the TV Theatre right now. As usual, I'll be headed down there from about 6, so look out for my tweets/twitpics tonight. For those of you who are gonna watch from home - 8pm. Channel 5. Don't forget! For those of you coming to Mediacorp, tickets available from 6.30pm from ushers, so come and get 'em! ps. Fingers crossed I don't cry tonight when I have to do exit interviews. 5 = the number of times Dan Thompson is mentioned above. The explanation for Dan's wildcard return to quote FD "We believe Dan will bring another de-mention to the show"
Beatrice said it was a split decision 2 for, 2 against (meaning a tie) but this was cut from the show that went on air. 0 = the dates Dan was available to do future shows for OMG. 0 = the amount of photos summer posted of Dan on Ep 6 (due to a computer problem that never got fixed). @ summer: That's a bit disrespectful to Erika Chen. Half a singer? I think her singing was great! Better than Jill's but we all know now why Jill "bettered" her that night. Looks like Dan Thompson is at it again! His alter ego Steve has reappeared. to summerr, take no heed. Once a sore loser always a sore loser. Don't bother posting any pics of his ugly mug, he's already out, whats the point? And 'Steve' or Dan or whatever name you choose for the day(how many passports do you hold? ), Erika could not sing. Tay Ping Hui said it himself. I don't think summerr was being disrespectful, her act was half or each talent. She did not come on as a singer. summerr, in that case, please be MORE respectful to Steve, I mean Dan, and say Dan is half a singer and quarter tap dancer and quarter very-bad-MJ-impersonator. Lau Jiao is lau jiao la wahlau still want to kompren kompren. Dunno where to hide the face after the new paper article bombed, so come here and make noise. Steve/Dan/SoreLoser, ever heard of the term - Empty Vessels Make The Most Noise? HAHAHA! Comment above is hilarious. Comments above that is stupid. By the way hor, if you are so sore about the 0 pictures thing, Rhythm 'N' Moves also don't have pics for that post. I don't see THEM complaining anywhere. Stop your old-aged whining. Seriously Dan thompson is a joke. LOL! Wow you're one angry little critter. Have a chill pill I'm just pointing out the facts. Once again for those that can't read I'm Dan's friend Steve. If Dan wants to write something he puts his name to it unlike most of you on here. I'm just giving the facts and protecting my mate from people like you. Another fact, for someone that only appeared on 2 episodes a long time ago (when the show was ok), you can't stop talking about Dan. Haven't you got better things to do with your time? Don't answer that, Hypothetical question, we know you don't. DAN THOMPSON IS THE BEST! Haha! Say his name again Steve. DAN THOMPSON. Hey one person couple of times above it's clear you are the same person writing all the Hate Dan Thompson comments they are only minutes apart. You must have really been hurt by him. Jill? are you there? Readin da trivia I want to ask how can people just drop out of the show? Malv and a guy from Luminiq crew. People can come on in groups and then have members of the group not on anymore? So der is no one left from the 1st episode. Can someone explain dis? HAHAHA, Steve/Dan but really Jill is even dumber asking if Jill is there. Tripping all over yourself to defend someone who's a joke? If you're not Dan, I doubt Dan appreciates your efforts. If you ARE Dan, you are an even bigger joke than everyone realises. What 40-year-old guy pretends to be someone else so he can have a conversation to defend himself...furthermore on a blog's comments page? And sorry hor, I don't laugh at my own comments or talk to myself (unlike some people). I posted twice, the person in between just happen to post right after me I guess. And please, won't waste my time 'hating' Dan. Its pity I feel for him. Oh and 50+ bookings after the show - good for him, but shouldn't he THANK the show instead of creating trouble and trying to bring people down? Yes Ee-Lynn, I know it's you writing all these comments above don't pretend. You started this whole thing of accusing me of being Dan. Then you have the nerve to say that he's ugly trying to bring him down. Look in the mirror. Everyone look at Ee-Lynn's facebook photos to see ugly. No wonder you sit at home on the computer all the time being angry. Ugly on the inside and out. I give you permission to check the IP address of my messages. Dan doesn't live with me anymore so unless you have some reason to believe I'm not Steve shut your ugly teenage yap and get a life. If you ever read this Dan, I've got your back bro. If you write back and say "But I'm not Ee-Lynn" well either way you're a coward for not putting your name to your messages. Steve, all of the above comments are not by me. There is one and only one. This is getting to far. Dan has already told me in private about this. And I can promise Dan its not me. So my conscience is clear. I do not want to explain anything else.